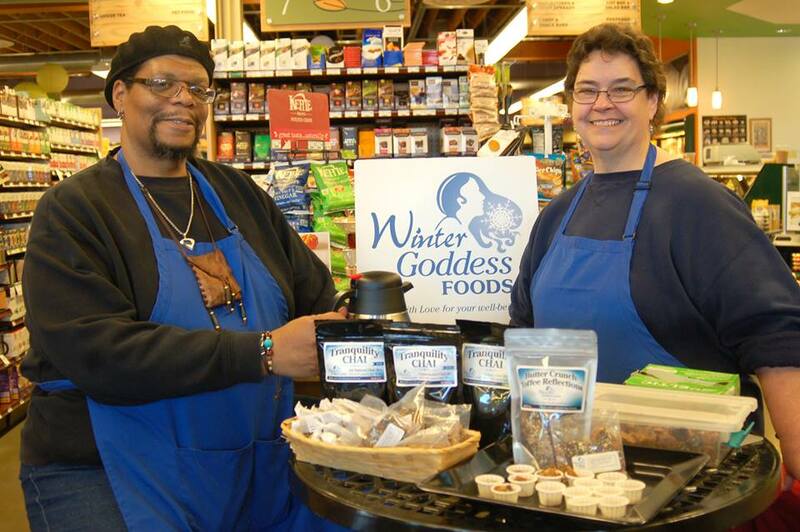 Winter Goddess Foods: Can You Take the Heat that Cayenne Dishes Out? Adding cayenne pepper, or capsicum, to your diet can prove to be very beneficial to your health. Cayenne pepper has been used both for culinary and therapeutic purposes for centuries in many parts of the world. It contains capsaicin, the substance that makes the pepper spicy. Capsaicin has many therapeutic properties and is used to treat a wide range of diseases. Cayenne pepper is a rich source of potassium, calcium and vitamins such as beta-carotene, B-complexes, vitamin A, vitamin E and vitamin C. It has health benefits if taken internally or applied topically. It inhibits pain nerves when applied to the skin and when taken internally, it can cure you of many diseases. Let's start with your heart. Cayenne pepper removes the plaque adhering to arteries and cleans them. You can help a person suffering from a heart attack by giving him a teaspoon of cayenne pepper in a cup of warm water. It supplies vital nutrients to the heart, raises the body temperature, improves blood circulation by thinning the blood, removes toxins from the blood and rebuilds blood cells. Cayenne helps to reduce blood cholesterol, triglyceride levels, and platelet aggregation, while increasing the body's ability to dissolve fibrin, a substance integral to the formation of blood clots. Cultures where hot peppers like cayenne are used liberally have a much lower rate of heart attack, stroke and pulmonary embolism. Do you have hypertension? Cayenne pepper helps to make blood pressure levels normal. It regulates the flow of blood from the head to the foot and equalizes blood pressure. It also equalizes blood pressure in the arteries and veins instantly. It removes blockages present in the arteries and thus, improves the flow of blood. Since cayenne pepper reduces the risk of arthrosclerosis, it simultaneously lowers the risk of hypertension. That scary word - Cancer! The capsaicin in cayenne pepper has the ability to kill cancer cells. Cayenne pepper can therefore help in the treatment of leukemia and cancers of the lungs, pancreas and prostate gland. Research shows that capsaicin causes cancer cells to kill themselves in a process known as apoptosis. Getting rid of the bad cholesterol! Cayenne pepper rids the body of LDL (bad) cholesterol. Aches and pains in the joints. The capsaicin present in cayenne pepper works on the sensory nerves and relieves pain caused by rheumatism and arthritis. Those pesky infections! Cayenne pepper has antifungal properties and can help you fight fungal infections. It’s useful in treating respiratory infections such as sore throats. Tummy problems, like ulcers, OH NO! Chili peppers like cayenne have a bad--and undeserved--reputation for contributing to stomach ulcers. Not only do they not cause ulcers, these hot peppers actually heal stomach and intestinal ulcers by killing bacteria you may have ingested, and stimulates the cells lining the stomach to secrete protective buffering juices that prevent ulcer formation. 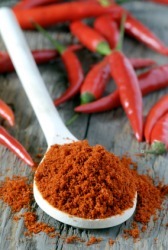 Cayenne improves digestion by stimulating the peristaltic movement of the intestines. It also heals digestive problems such as abdominal cramps, acidity and gas, as well as helps in the excretion of urine and feces. Winter and Summer Colds. Capsaicin also stimulates secretions that help effectively open and drain congested nasal passages, clears mucus and congested lungs. Fighting off inflammation! Capsaicin is being studied as an effective treatment for sensory nerve fiber disorders, including pain associated with arthritis, psoriasis, and diabetic neuropathy. Other Benefits - Placed in shoes and socks, Cayenne pepper is effective in preventing frostbite in extremely cold weather. Putting cayenne pepper powder directly into a bleeding wound can stop it from bleeding and will help the wound to heal without a scar or with a minimal scar formation. Cayenne pepper helps in controlling allergic reactions, cures heartburn, headaches, and sore throats caused by scarlet fever. It provides relief from toothache, treats snake bites, reduces fever and migraines, prevents and treats blood clots and stimulates the appetite. It also helps you to lose weight by increasing the burning of energy through thermogenesis (heat production). Topical capsaicin has been shown in studies to be an effective treatment for cluster headaches, diabetic neuropathy and osteoarthritis pain. Cayenne pepper is truly nature's "Hot little number!"